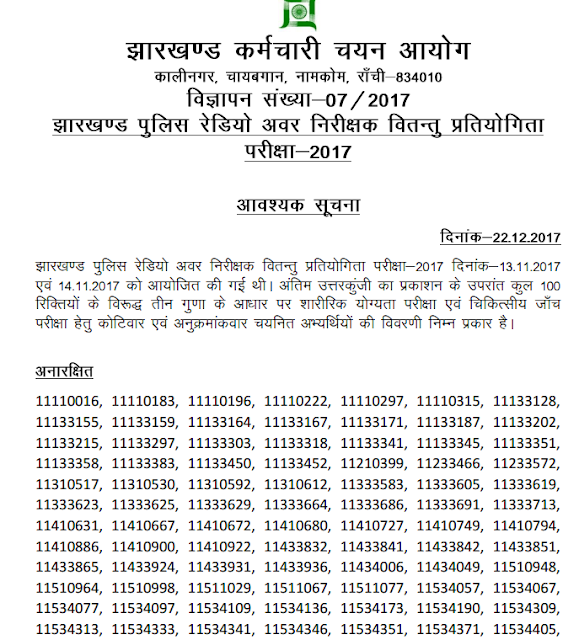 JSSC Radio SI Result 2017 - Jharkhand Police Radio Inspector result out, check here online Official merit list. JSSC Radio SI Result 2017 - (Jharkhand Staff Selection Commission) JSSC has released Result for the Post Name – Sub Inspector Radio Wireless through Jharkhand Police Radio Sub Inspector Wireless Competitive Examination, 2017 Held on 13th & 14th November. Check below link for Official Result PDF and Download.